Top row from the left. Yarrow. 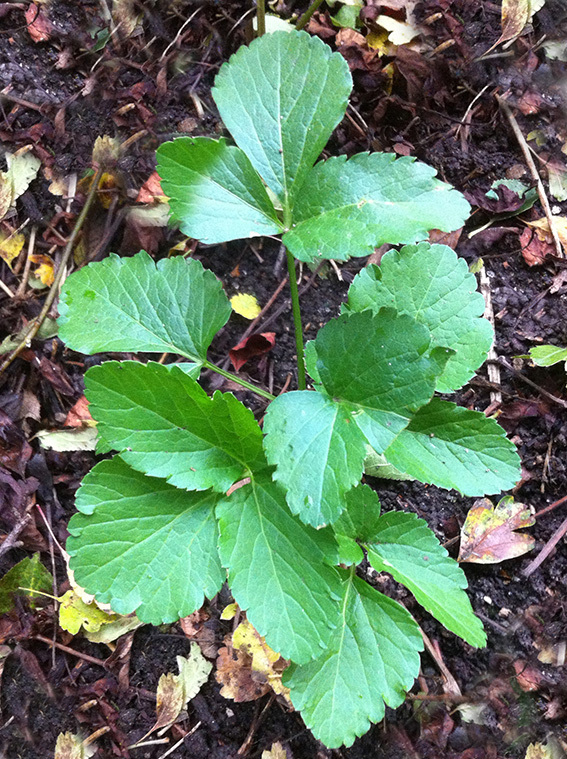 Tasty feathery leaves and a distinctive flavour, good in teas and as a pot herb later in the season. Also a great “bitter ” herb encouraging good digestion, acting as a diuretic and helping to purify the blood. Red Dead Nettle. Much smaller than the white variety. Busting with Iron and Silica. Great raw or cooked but probably a bit bitter uncooked at this end of the year, maybe not. Nibble one and see. Sow Thistle. A tasty daisy relative. A very similar appearance to Wall Lettuce. Use as a salad or cooked like spinach. I much prefer this to Dandelion with its milder, much less bitter taste. Shepherds Purse. A designer plant if ever there was one. 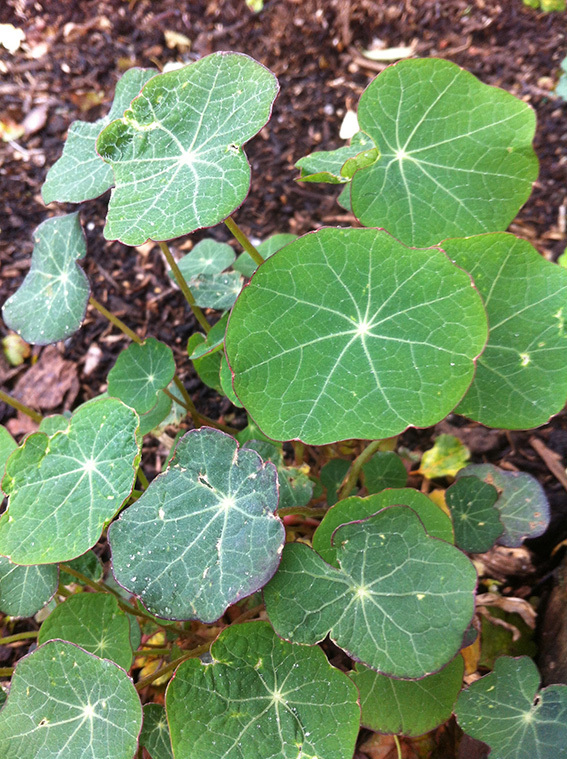 A great peppery/cressy seasoning with stunning heart shaped seed pods and perfect fishbone shaped basal leaves. Michaelmas Daisy. A great Autumn addition to any salad, due more than anything to it’s beautiful flower heads with mauve/lilac outer rays and inner yellow disks. Wood Avens. The roots of this plant taste of cloves and nutmeg. Popular for brewing and seasoning before the spice trade reached our shores. Only very young leaves are good to bulk up a salad but even they can be a bit hairy. Lime leaves. The heart shaped foliage of the Common Lime tree ( Tilia cordata). 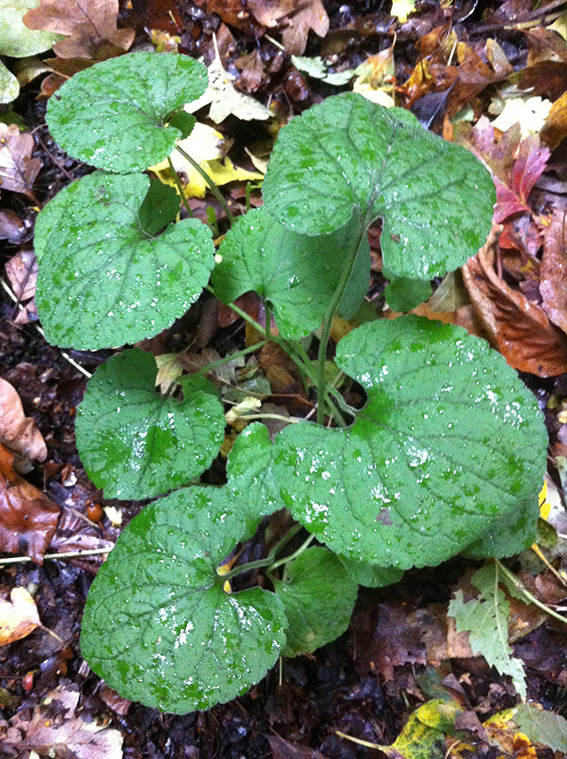 Numerous medicinal properties and also containing Mucilage (the slimy stuff in Okra). 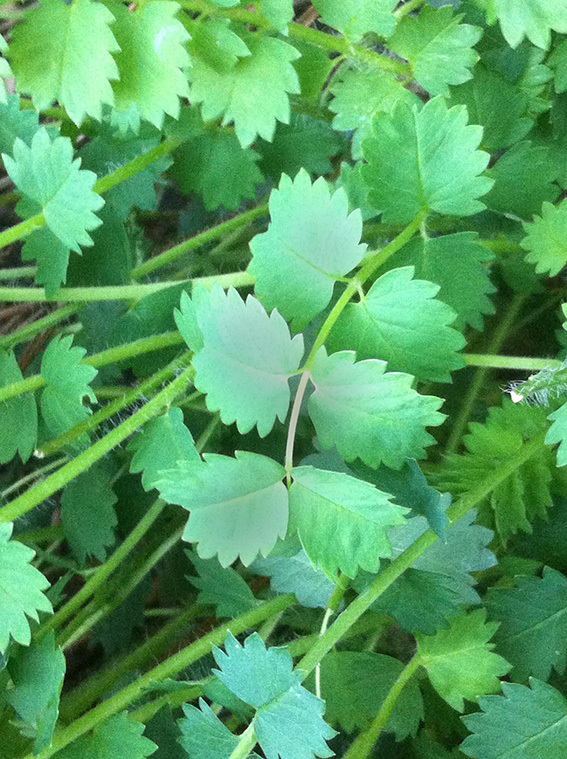 Pick young, slightly translucent new growth leaves to make a wonderful salad. Mugwort. An aromatic and wonderful smelling plant. I recently tried roasting sprigs of it with lamb as a rosemary substitute. A good and unusual seasoning for soups and stews with a history in old English brewing. Middle row from the left. Swine Cress. A great little peppery member of the cabbage family. Not so common in most London parks but plenty growing all over my local patch. Use for salads, soups, stews or just sweated like spinach. Plantain. Just like its skinnier leaved relative Ribwort Plantain, I had been ignoring this as an edible plant until recently shown how perfectly timing its cooking will produce a texture pretty much like seaweed. Numerous medicinal benefits too. Lavender. Not growing wild but who cares. A mood enhancer, calmative, treatment for anxiety, a local anaesthetic, promoter of restful sleep and aid to good digestion. Flowers are best at the end of the season. Hooray. White Dead Nettle. The star of this edible montage and so it should be. Those white flowers taste like mushrooms and the leaves have a great fruity, slightly minty flavour. Been in flower since February. Brilliant cooked or raw. Hair Bell. All the Campanula are edible but these have sweet purple flowers and very tasty leaves that seem to be available all year round and are never bitter. An excellent addition to salads. I assume they can be cooked too. Nipplewort. Another member of the daisy family. This one also seems to have a long season. It tastes quite pleasant, often grows in big, easily grabbed clumps and has various unsubstantiated medicinal uses. Fat Hen. How lovely to find a Neolithic spinach, alive and well, thriving so close to my front door. Unlike many of these, this is a Summer plant, usually appearing from June at the earliest. Super tasty but obviously a bit tough right now. Bottom row from the left. Mahonia japonica. Oregon Grape is a pretty similar, wilder relative of this plant. Fortunately, London parks, intentionally have masses of this lovely spiky creature. Sharp/sweet purple berries and huge sprays of tasty yellow mid Winter flowers. Goose Grass. Sticky weed is in the same plant family as coffee, the top few inches of the young plants taste similar to Chickweed and are perfect for winter salads, then as a cooked green later in the year. Cow Parsley. 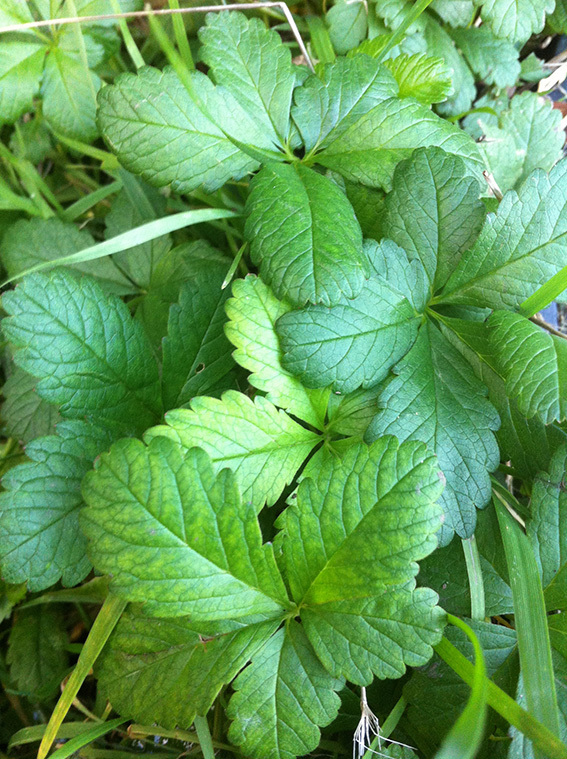 AKA wild chervil, a sweet tasting herb that goes really well with potatoes. Numerous very poisonous lookalikes though so I’d stay clear of this and other members of the carrot family unless you really know your stuff. Dandelion. Chefs seem to rave about this little plant these days but I’m not a fan. It’s just too bitter for my palette. I dig the roots up and make a fantastic, caffeine free coffee. Chickweed. One of the best winter salads. Be sure it’s out of the dog wee zone as it thrives at the base of city trees and make sure your not eating bitter tasting Scarlet Pimpernel by mistake. Feverfew. An amazingly strong smelling plant (a little like Mugwort but more fragrant, I think), with daisy flowers and pinnate, rather carrot like leaves. 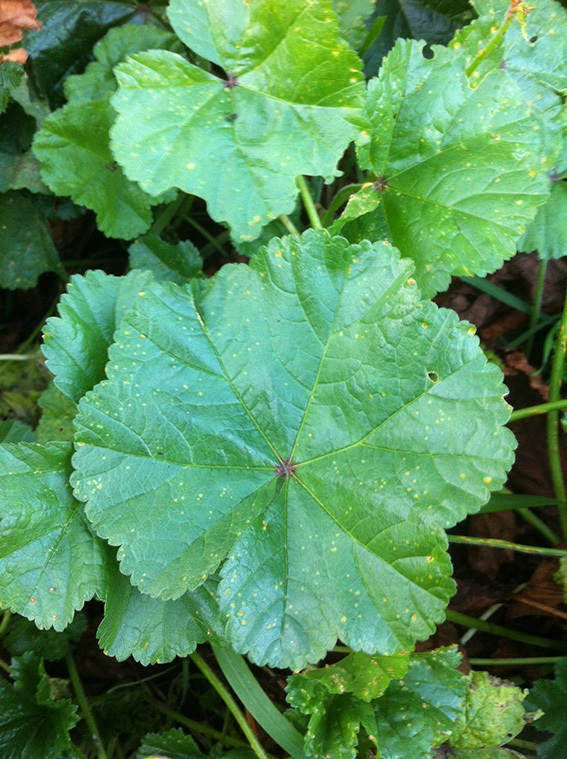 Used in tinctures and tablets to reduce fevers and help with colds. Also as a tea. Hoary Mustard. This member of the cabbage family is often ignored but it has lovely peppery flowers and seems to be in flower almost all year round. Dull grey/green leaves that are a bit bitter and hairy (hoary). Oxeye daisy. A favourite of mine. A terrific and unusual tasting salad plant, I munch this all year round and its flowers are delicious too. Small at this time of year though so a bit hard to ID unless your used to it. And Finally…the seven that didn’t make the montage. thanks for that info, had always thought it was common mallow but I can see I was wrong…keen to try the real thing now…..otherwise use Common mallow just like spinach, I really like the taste..
Just discovered your site. I can only say wow what a find (always wanted to “forage” and you just made it easy! There are wild lake areas very close to where I live and this takes my plans to join a very informal allotment group in the natural lake area a step further!Thanks for the in put! 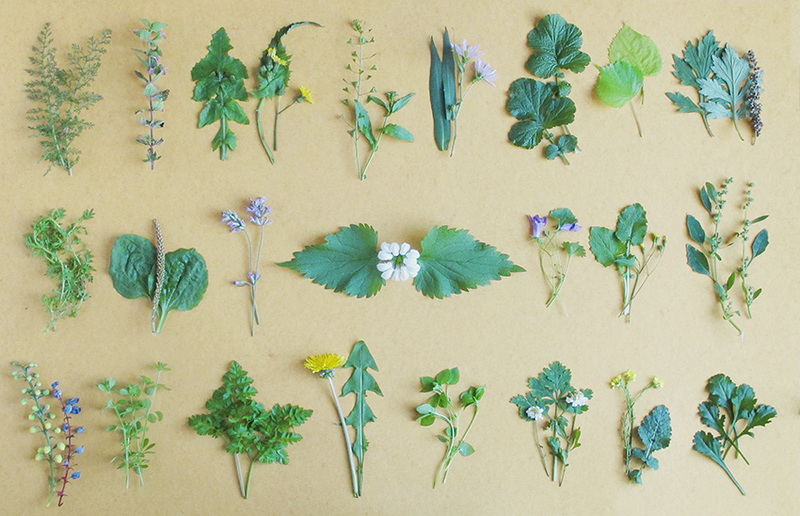 It’s a very nice selection of greens. I always love this time of year – while it may seem like everything is dying back you can actually really see everything positioning itself for the next year. As you say, this autumn has been interesting and I’ve also noticed a lot of fresh greenery. Thanks again for putting this post together – a process that takes longer than most people appreciate. Really fascinating post John, thanks for putting it together. 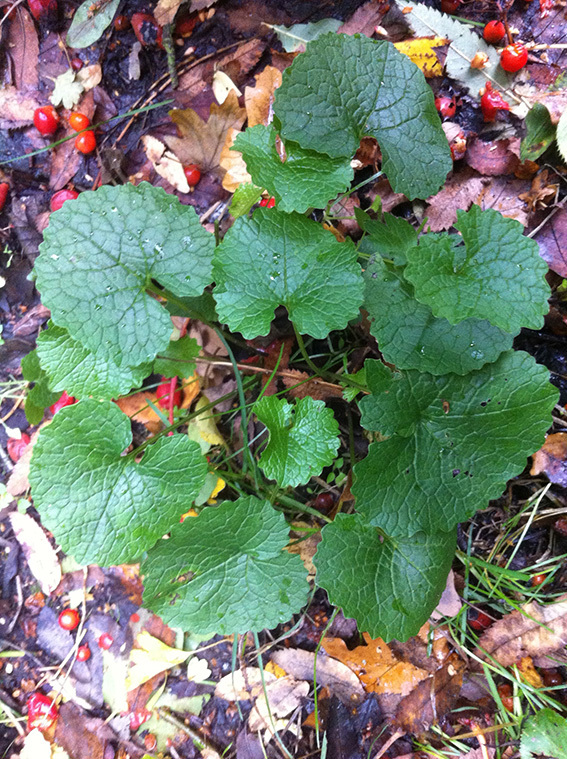 I can highly recommend the garlic mustard steamed, a dash of salt & pepper and a squeeze of lemon juice. Keep up the good work, look forward to following your posts. Next post: Winter health & happiness. Previous post: I BLOODY LOVE MUSHROOM HUNTING (PART 2).